Today in the United States, employer-sponsored health benefits are the source of coverage for more than 149 million individuals. 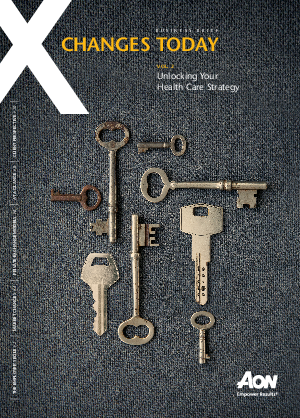 Fueled by many factors, including rising costs, legislative changes, new provider models, and evolving market forces, the health care industry is undergoing a transformation. And as health care evolves, so must the employer’s role in it. What has not changed, however, is employers’ belief that health benefits are a key differentiator for talent. In fact, most large employers plan to continue offering coverage in spite of the uncertainties in the health care market. To keep pace with the changing environment, employers must rethink their role in health coverage: how they sponsor, structure, and deliver health benefits, and how they manage costs while keeping employees healthy, productive, and satisfied.